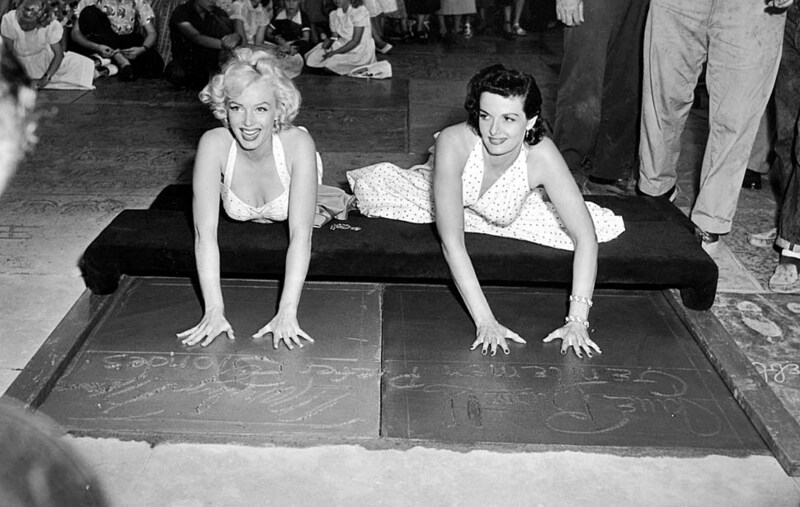 This is a picture of Marilyn Monroe & Jane Russell the night of the premiere of “Gentlemen Prefer Blondes.” Taken at the Gramaun’s Cihnese Theatre on June 26th, 1953. This entry was posted in 50S, 60'S, Confessions of a hollywood agent, Hollywood, JFK, Marilyn Monroe and tagged celebrities, film, Graumans chinese theatre, hollywood, Jane Russell, Marilyn Monroe, Movies. Bookmark the permalink.